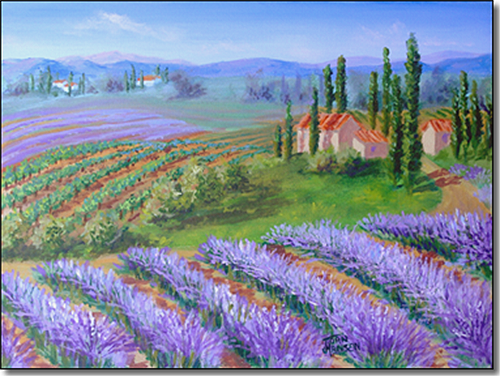 When the artist was in France, she discovered beautiful fields of lavender and many vineyards. Lavender flowers grace the edges of this vineyard with a fragrant splendor. What a soothing enjoyable place to be.